Take a look at a sample of our testimonials received via Checkatrade, Email etc. All testimonials are genuine and can be backed up with Email, paperwork etc. Vas carried out a replacement of our patio, as well as the removal of a number of bushes and other plants. Vas took the time and effort to talk us through every aspect of the job before starting, and even drove us to see the stone to check we were happy with the colour. The work was carried out quickly and expertly, and he kept us informed at every stage. He even carried out some additional work free of charge to ensure the end product looked 100% right. We’re delighted with the results and look forward to sitting out on our patio for many years to come. I would highly recommend Vas if you are looking for someone to help you with a similar job! We hired Vas to complete driveway re-levelling and defective garden wall rebuilding. He completed the work to a very high standard, was very reliable, pleasant to have around and was very tidy, removing all waste. We would recommend him to anyone looking to have similar work done. We moved to a new house with a back garden of grass only. We searched for a landscape gardener who could build paths, make flower beds, water feature, pave steps, build brick walls and lay a new lawn. We had several companies to quote but we were very pleased we choose Vas Landscapes because he helped us develop our plans, carrying them out carefully and nothing was too much trouble. His craftsmanship was first class and the work was completed on time and on budget. Vas laid my patio and block paved the drive nearly 5 years ago.Both are still in very good order and look very smart. When I needed my fence replaced and some trellis work added to the top, the only person I thought of employing was Vas. I am delighted with the result. Vas takes a great pride in his work, is very reliable and trustworthy and does an extremely good job. I have had a lot of work done in my home over the last few years – the only person I would invite back to do more work or recommend to others is Vas. I was looking for someone reliable to lay a patio for my daughter, who lives in a terraced property with no rear access. The only means of removing excess soil and getting materials through the house was by physically carrying it by hand (as using a wheelbarrow was impossible). Vas not only accepted the job, he saw it as a challenge for himself and his assistant. Between them they carried in excess of 10 ton of materials through the house without any mess, having previously laid down protection on the floors. Vas was very helpful and flexible throughout the job. He always turned up on time and kept to his written quoted price. My daughter and I are very pleased with the result of Vas’s work and would recommend him. Vas did a fine job on our back garden and we’d strongly recommend him. He created a new patio flanked by two raised beds using sleepers. We wanted to re-use the paving slabs that had been used by a previous owner and Vas fulfilled the brief very well; this was no easy task because the old paving slabs were not uniform, so the job required some flexibility and ingenuity. Vas was always on time, kept us well informed of the work as it went along, and did a very thorough job of clearing away and tidying up. On several points he went beyond the original terms of the job to help us out, which was greatly appreciated. Outstanding job on my driveway, very professional. Having worked in the construction industry for over 30 years I knew the standard of quality and finish that I wanted. Vas, exceeded my expectations and has accomplished an excellent job. I employed Vas Landscapes to clear away an old patio and replace it with a new one. Vas arrived punctually every day until the days task was completed, then checking that it had been done to my satisfaction. The work was completed in the time period given at the beginning of the job. 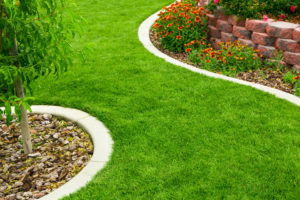 We found Vas landscapes to be extremely helpful both before and during the garden project. We had advice on the different stones, bricks and fencing as well as practical advice on the layout of the garden. site neat and tidy at the end of each days work. The work was carried out throughout to a very high standard and with utmost professionalism. Having provided the best quote, Vas Landscapes got to work transforming our run down back garden into an oasis of lush lawn, bedding area and outside dining space, complete with shed to tuck away all those gardening tools we would soon have to use! Vas carried out a replacement of our patio, as well as the removal of a number of bushes and other plants. Vas took the time and effort to talk us through every aspect of the job before starting, and even drove us to see the stone to check we were happy with the colour. The work was carried out quickly and expertly, and he kept us informed at every stage. He even carried out some additional work free of charge to ensure the end product looked 100% right. We’re delighted with the results and look forward to sitting out on our patio for many years to come. Vas Landscapes completely made-over our new garden when we moved house. They built brick retaining walls and shed bases, created flower beds, steps, pathways and water feature, leveling the lawn and re turfing it. Vas is a master craftsman, working to the highest standards. Nothing is too much trouble for him and he keeps to his estimate. Vas and Jordan came to my property to take down an old rotten fence and replaced it with a nice new one, while they were here they also maintained my garden and made a very lovely job of it. Very helpful in planning + preparing for the job. Good advice given + good timing. I am very happy with the work completed. I was consulted at all stages and adjustments were agreed and implemented. Vas kept us informed of how things were going and ideas / suggestions on how to make the patio / garden look as nice as possible. Vas and Jordan worked quickly and very neatly. They went above and beyond and we are very happy with the results.